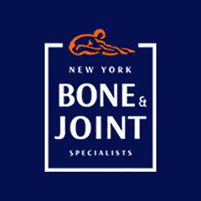 At New York Bone & Joint Specialists, you’ll find New York City’s top neck experts, serving patients from the Upper East Side and Midtown West neighborhoods of Manhattan. If you’re suffering from neck pain and looking for solutions, schedule a consultation with the team of specialists. You can set up your visit using the simple online scheduling tool, or by calling the office to check availability. Your neck consists of seven vertebral segments and an intricate network of ligaments, muscles, tendons, nerves, and other soft tissues. Although a small part of your body, your neck plays a critical role in enabling head movement and protecting your spinal cord. How are neck conditions diagnosed? The first step in diagnosing neck pain is a thorough exam and a discussion of your symptoms and health history. Diagnostic tests, including X-ray and magnetic resonance imaging (MRI), give your specialist a deeper understanding of any structural abnormalities or tissue damage. Electromyography (EMG) is a diagnostic tool performed by guiding an electrode needle directly into a targeted muscle. The needle records the electrical impulses that prompt muscle tissue to contract and relax. The results allow your practitioner to determine how well your muscles respond to brain signaling. Often used in conjunction with EMG, a nerve conduction study works by applying electrodes to your skin. One electrode generates an electrical current, which travels through your nerve tissue before reaching the second electrode. Nerve conduction studies measure the speed of the current along the targeted neural pathway. Slow velocity can indicate nerve damage. How are neck conditions treated? Your treatment path depends on your unique set of needs. You’ll be advised on all available options to help you make an informed decision about your care. Some conditions respond well to a period of rest and medication. Altering your sleep position and improving your posture can also relieve pain. Physical therapy is often recommended, and can help you strengthen the muscles supporting your spine to relieve pain and prevent further injury. In some cases, manual traction or medical massage are performed alongside physical therapy. Steroid injections are an option for issues like a herniated disc or pinched nerve. These injections offer temporary relief, and are a great way to ease pain as you complete a course of physical therapy. Radiofrequency ablation can relieve neck pain by using RF energy to destroy malfunctioning nerve tissue. Your body redirects neural signaling to healthy nerves. If surgery is your best option, your specialist will discuss the available options and guide you to the procedure that is best for your needs. If you’re experiencing neck problems, schedule a visit with the expert neck specialists at New York Bone & Joint Specialists.